Mission Viejo Rotarians: Why Rotary? "Top 10 Reasons To Join Rotary"
Mission Viejo Rotary - What is Rotary? With Whom Will You Have Breakfast? 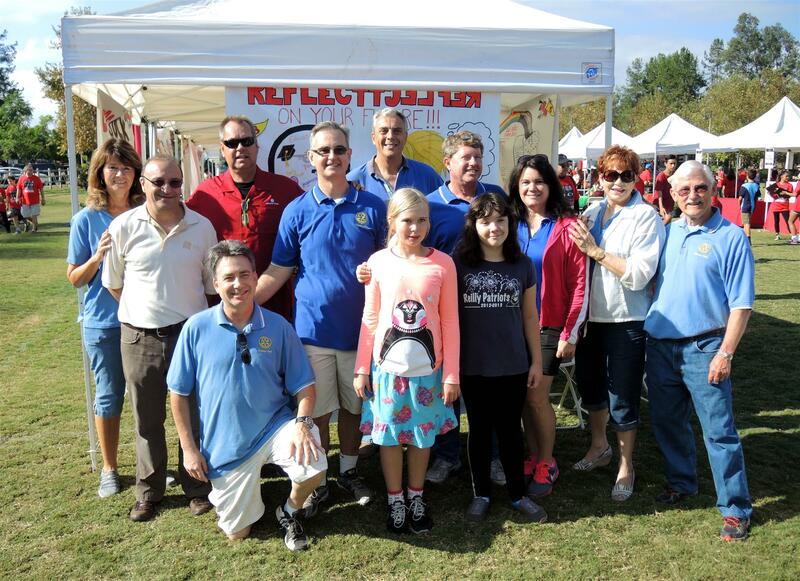 The Mission Viejo Rotary Club participates annually in the Walk Against Drugs in the City of Mission Viejo. This event was first called the "March Against Drugs" and began in 1988. It is now considered a "signature event" of the City of Mission Viejo. The City views it as a strong partnership with the community. According to the City's website, the Walk was established to show that "Together we are sending the message that we care about each other and share in the common goal of saying no to alcohol, tobacco and other drugs." The event began in 1988, at the behest of Bill Craycroft, a member of Mission Viejo Rotary Club who was also a member of the City of Mission Viejo City Council. Bill had heard about a Red Ribbon program instituted to honor a DEA Agent who had been killed in Mexico. Bill wanted to show support for the drug enforcement and to assist the local community. He contacted Dr. Peter Hartman, District Superintendent of the Saddleback Valley School District, who was also a member of the Mission Viejo Rotary Club. Pete committed the Saddleback Valley School District to provide the equipment and venue necessary to start the event that year. In 1989, the event grew as the City of Mission Viejo began sponsoring the event. The route was changed to accommodate the large crowd and the event has grown to include speakers, performers, booths, food and more. Providing free hot dogs for student participants (as many as 1500 hot dogs are served). Richard Murray chairs this large undertaking for the project. According to the City of Mission Viejo, the success of the Walk Against Drugs "...can only be attributed to the solidarity of partnerships between all facets of the community. The City, the Orange County Sheriff’s Department, both the Capistrano Unified School District and Saddleback Valley Unified School District, businesses, service groups, students and families continue in great partnership." In the last several years, the event has included the landing of a sheriff’s helicopter and a demonstration by a K9 unit. It features live music and dance recitals presented by local students. All of the schools in the city participate. The largest Walk Against Drugs drew approximately 5,000 students, parents and supporters who marched from Mission Viejo High School to the Oso Community Park. Visit the City of Mission Viejo's Website for Walk Against Drugs.